The III Percent Society blog posted a great article about some common misconceptions regarding our Founding Documents. We all understand the difference between the words “May” and “Can”. When we use the word “May”, it conveys permission. “May Not” conveys permission denied. The word “Can”, however, is the physical ability to do a thing, regardless of the status of permission. One may not infringe 2A, but people can and do infringe it all the time – because they have the power and willingness to imprison or kill you. 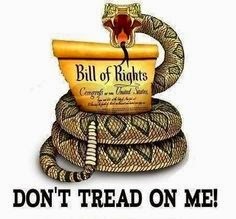 Now here is a simple reality that will strike many Patriots as counter-intuitive: The ten amendments that make up the Bill of Rights may not be altered, restricted or deleted – period. Full Stop. Article V many of you will say, especially those who went to law school. The BoR was brought into existence through the Article V process, so using the same Article V process the BoR can be modified, restricted or deleted. Read the rest…. You won’t be sorry. That is unless you are on of those infringer types. I got this in my email a couple of days ago and thought I should pass it on. The Ultimate Sport Show runs from Thursday March 19th to Sunday March 22nd in Grand Rapids, MI. Tickets are $10 for adults, $6 for Children 6 to 14 and free for children under 5. Here is a link to the list of features and attractions. Looks like a lot of fun. I know I am going to try and make it.